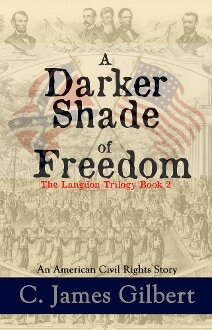 The sequel to "A Deeper Sense of Loyalty"...When the Confederate States of America was defeated in 1865, the masses of oppressed and impoverished blacks were freed; that is to say that the practice of slavery was forever outlawed by the U.S. Constitution. But James Langdon of Macon, Georgia knew before the war ended that it would be a very long time before the black race would be accepted as social equals. Having seen a slave beaten for trying to escape from his father’s plantation, James was then, there and forevermore pitted against the evils of bigotry. However, in the immediate years after the war; an enemy, a most formidable foe was born in Nashville, Tennessee and was called the Ku Klux Klan. To ignite the inferno which would rage between Langdon Plantation and the Klan, a secret that only James’s wife, parents, and sisters knew about became public knowledge. Once the secret was revealed the conflict began; a very devastating conflict.A true believer in God’s will, James joins forces with his black neighbors to stand against tyranny and those who would try to exercise power over them. He would never be satisfied until America recognized all Americans as equal; both black and white.